This may be a simple weeknight meal, but it sure looks delicious! Love that you roasted the cauliflower and added capers! It definitely was delicious! Roasting any type of vegetable is one of my new favorite things! Pantry creations are the best. Its really an anytime food 🙂 Even at 4am! 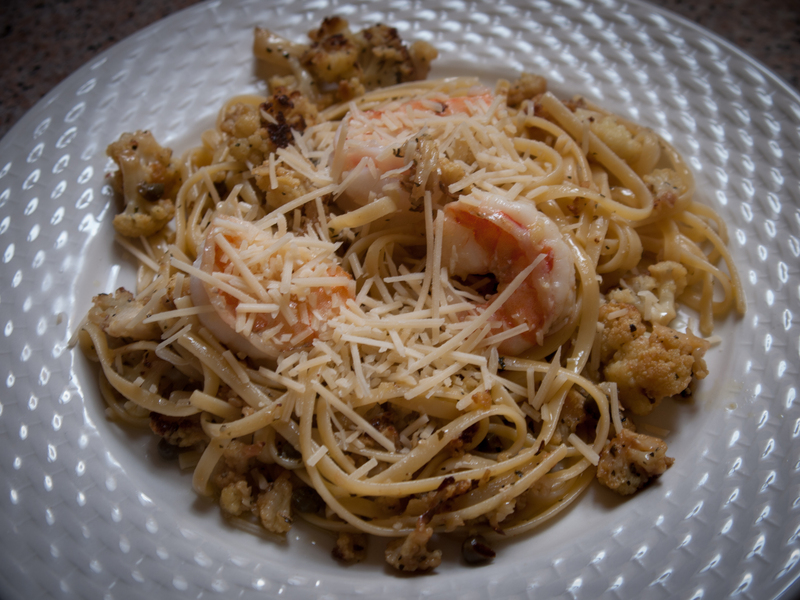 Very interest combination with the cauliflower, capers and prawns. hmm… maybe I need to try this. I wonder what is back there anyway?